Internorm® proprietary technologies offer innovative solutions to improve the functionality and performance of your window systems. Each I-tec feature has been designed and tested with your comfort in mind, giving you the freedom to customize your home with the qualities you value most. Add integrated blinds, built-in window ventilation, frame insulation, and more. The new I-tec Core features laminated veneer lumber (LVL) at the core of the window frame. The LVL core is humidity resistant, and therefore best suited for waterfront properties and damp climates. This technology is typically used for stable roof beams and supports due to its high load-bearing capacity and incredible strength. Wood is a material particularly susceptible to expansion and contraction as temperatures change each season. However, I-tec Core eliminates this common issue. You can find this feature in our HF 410 Wood – Aluminum Window model. Many window panes are only connected to the frame at a few points. We go above the industry norm with continuous all-around fixing as a standard practice for our complete line of windows and doors. The continuous connection between the frame and the glass pane improves overall sound reduction, thermal efficiency, and security. I-tec Glazing ensures proper functioning of the window system and perfect stability. Internorm windows are renowned for the best thermal insulation values and for their outstanding quality. Using HCFC-, HFC-, and FC-free insulation, the U-factor of the window profile is significantly improved. I-tec granulate insulation is inserted with pressure into the the frame of the KF 410 and KV 440 UPVC – Aluminum Window models for optimal energy efficiency. You will notice the striking difference in comfort with properly insulated window and door systems. All Internorm window systems with integrated blinds can be installed with I-tec Shading. This sun protection uses a photovoltaic module and batteries, therefore, no external power source is needed. The photovoltaic system is placed in between the glass panes for maintenance-free sun and privacy protection. The intelligent automatic mode operates blinds with day-and-night recognition. Your choice of blinds, Venetian blinds, or Duette® in each room can be programmed according to the amount of sunlight transmitted throughout the day to avoid excess heat. I-tec Ventilation ensures comfortable and energy-efficient airing of your home. The ventilation is built-in to the frame and can be easily installed in renovations. The warm air from the interior of your home heats the cooler air from outside as it flows back into the room. This intelligent system circulates mould-free and dust-free air while achieving 93% heat recovery. Each room can be programmed individually according to your needs with the I-tec Smart Window mobile application. I-tec Ventilation is ideal for older homes that are not equipped with central air systems or that lack energy efficiency due to previous building codes. I-tec Ventilation, I-tec Shading, and exterior shutters can be conveniently controlled via table or smartphone. Whether you are at home or on the go, I-tec SmartWindow allows you to control your window and door settings through the free mobile application. 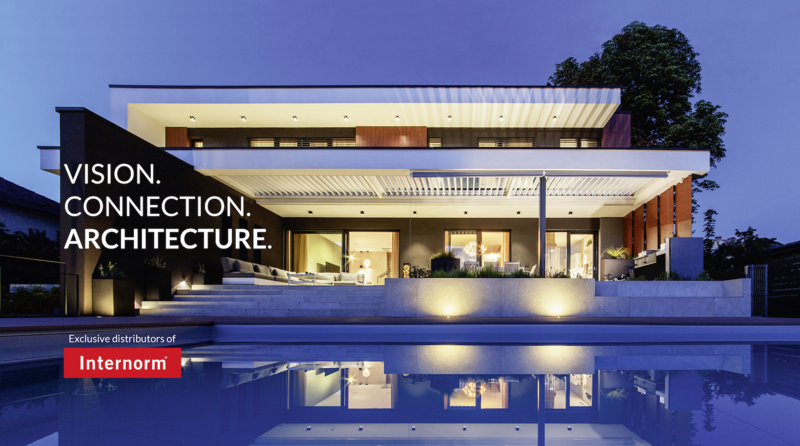 Easily operate your home’s systems with security while reducing energy consumption with day-and-night settings and additional options. I-tec locking renders levering of windows impossible. This patented technology is unrivalled in the industry and it is integrated into our UPVC and UPVC-Aluminum KF 500 Window. Integrated flaps press the interior of the frame from all sides when locked, offering maximum burglary protection. Security class RC2 is a standard burglary resistance rating that must be adhered to in several European countries.